The Xiaomi Mi Mix 2S may be the first phone with Snapdragon 845, which promises to be a true powerhouse. The phone is code named “Polaris” and an early AnTuTu score is massive. There are a few important things to note here. 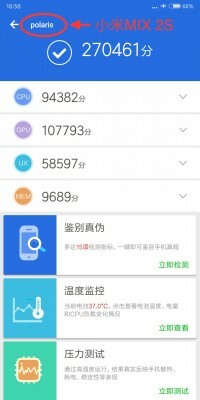 First, the latest version of AnTuTu was used and the results are not comparable with older versions. For comparison, a Huawei Mate 10 Pro (Kirin 970) scores around 218,000 on the same version. Also, there’s no confirmation that this is indeed the Mi Mix 2S – benchmarks are easy to spoof. We might see the real 2S at the MWC when Samsung will unveil the Galaxy S9 duo – and we already know that Samsung has bought up the bulk of Snapdragon 845 supply. So, it remains to be seen if this “first S845 phone” is an actual plan that Xiaomi could pull off or if its wishful thinking by the rumor mill. Do you own an OnePlus device? so RIP mate, all your data and every sensetive information is in OnePlus Servers. much fun with your highscore Spyware.